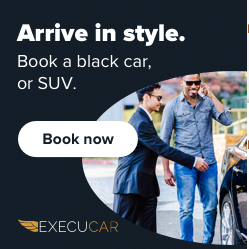 ExecuCar is the leader in luxury transportation. Professional drivers offer high-end black car service for airport and around-town rides. Passengers can be confident that you will receive the best service while also enjoying our upfront pricing model. Arrive in style. Hourly rides and around-town rides also available!